UK – Stage Technologies has supplied a stage engineering system for the newly reopened Everyman Theatre in Liverpool. The system is based on a specification designed by Charcoalblue consultants and the Everyman Trust that focuses on flexibility and future expansion. 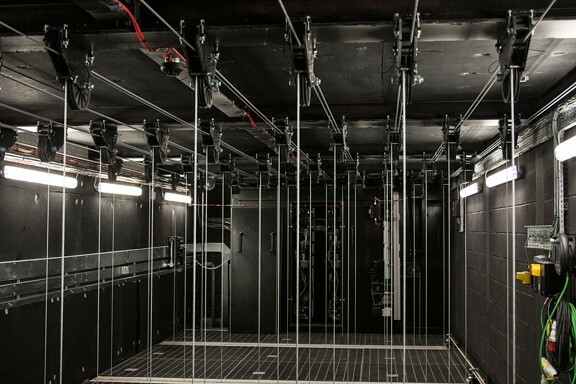 This combined both automated and non-powered engineering applications spread throughout the fly tower, thrust grids, and at stage level with a completely re-configurable and removable staging and seating rostra. Stage Technologies was hired by main contractor Gilbert Ash. 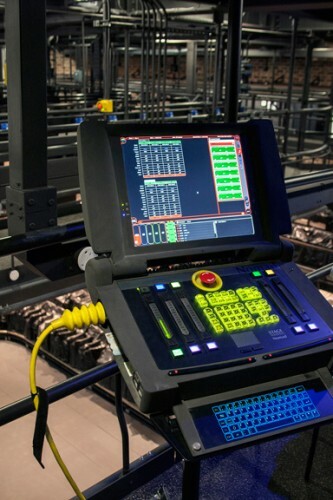 The automation system utilises a Nomad Control Desk and a Wireless Solo to control a flying system comprising BigTow fly bar winches and sidebar winches, TipTow Point Hoists (TTPH) with swiveling gimbal pulleys, and variable speed positioning chain hoists (CH:i). Hardware was installed to enable the TTPH and CH:i to be moved between thrust and fly tower grids to offer the venue ultimate flexibility within the available space. The fly bar and TTPH winches are also rated for performer flying. 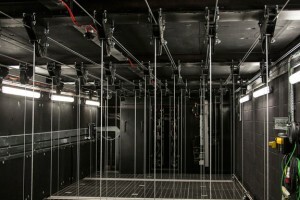 In addition to the flying system, Stage Technologies installed travelling lighting bridges that traverse the width of the thrust grid, travelling beams that run up and down stage above the thrust grid, a variable and demountable sliding proscenium, rostra sub-structure and scissor lift and a fixed pipe grid at height level within the rehearsal space.